We finished building our home about a year ago and I am finally getting around to decorating! My boys share a room in the basement and wanted to make it more of a “big boy room” than what they had in our last house. I let them help me pick the colors and some of the items in the room and they were so excited to have their own little place! The beds were bunk beds we got a few years ago from RC Willey, but they were still in great shape so we took them apart to become two twin beds. I am pretty much obsessed with these blackout curtains from Frosting Home Decor. 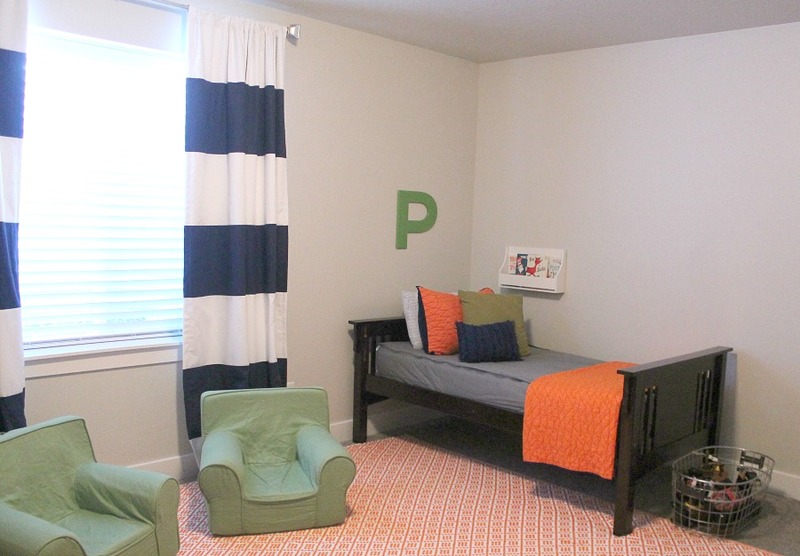 I looked everywhere for some striped navy and white curtains that were really sturdy and high quality, so I was so excited when I found these! You can create custom orders with Christin from Frosting Home Decor if you have a specific item in mind you are looking for. She has the cutest pillow covers, curtains and valances! You can also save 25% off right now on curtains right now for Black Friday! You may recognize the bedding my boys are using. We got this bedding from Beddy’s two years ago and it is still in great shape! I love that my boys can easily make their beds themselves everyday because being 8 months pregnant, the last thing I want to do is try and make their beds for them! I wash their bedding every week and love that it is all one piece! I also love the neutral gray color so when I want to switch out the decor I can just add different throw pillows. I also found the blue and green pillows at Home Goods. 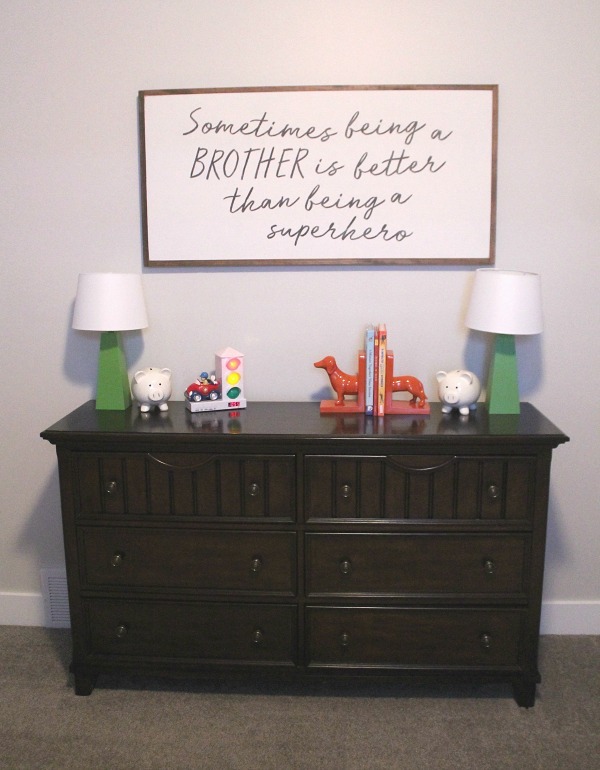 I knew I wanted to find something cute to hang over my boys’ dresser and as soon as I came across these darling wood signs from House of Belonging I knew I had to have one! They were so wonderful to work with and created this custom sign with a quote I had found. It is so sturdy and well made. The wood frame is absolutely gorgeous! 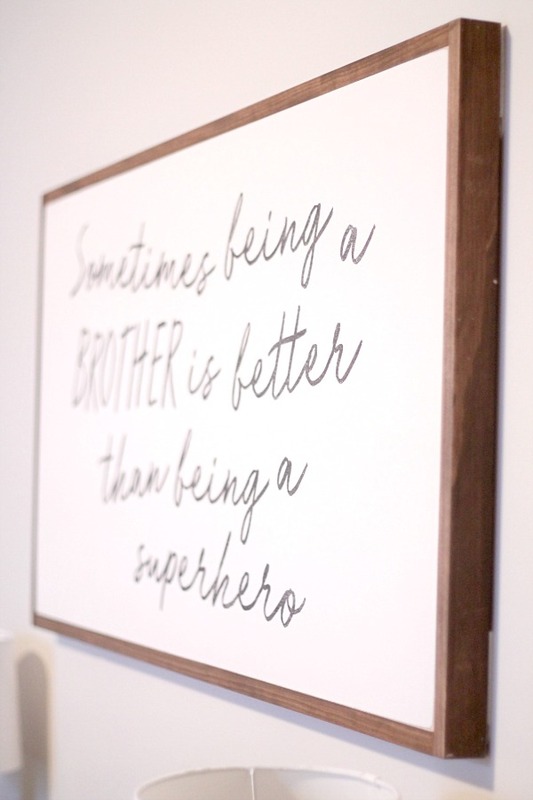 House of Belonging makes the most beautiful scripture signs, prints and signs for children’s rooms! 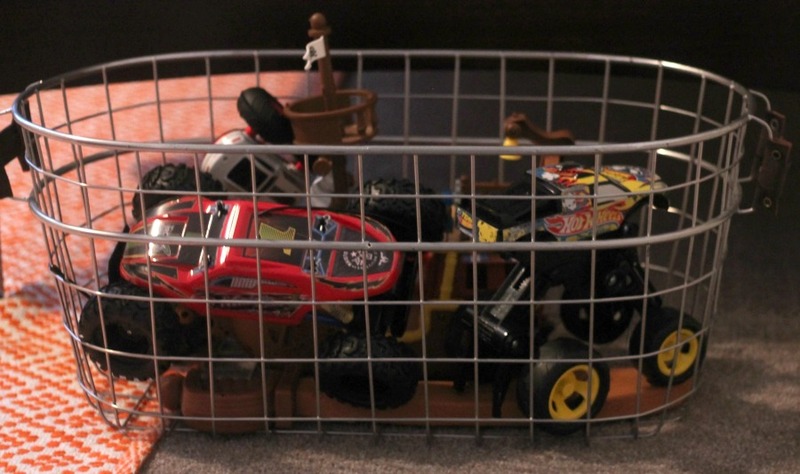 When we moved, I decided to keep all my kids’ toys in their rooms which took a lot of dejunking! 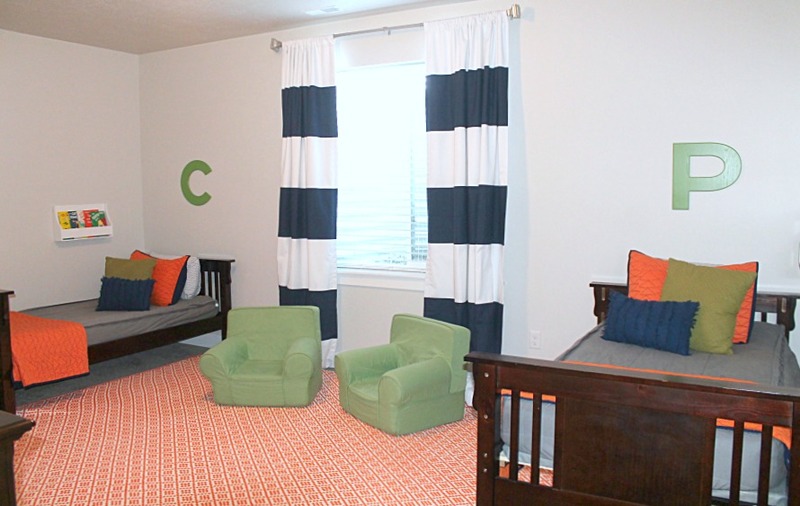 Now I love that all their belongings are in their room rather than spread throughout the house or a messy toy room. I found these large crates at Home Goods and they are perfect for storing those large, awkward toys that every kid has. 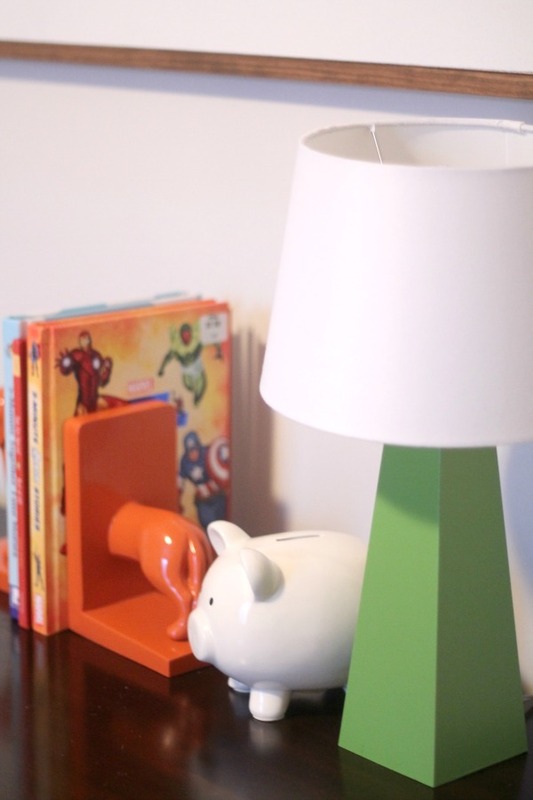 I had some old wood lamps from Target that I painted green to match some of the other items in the room. 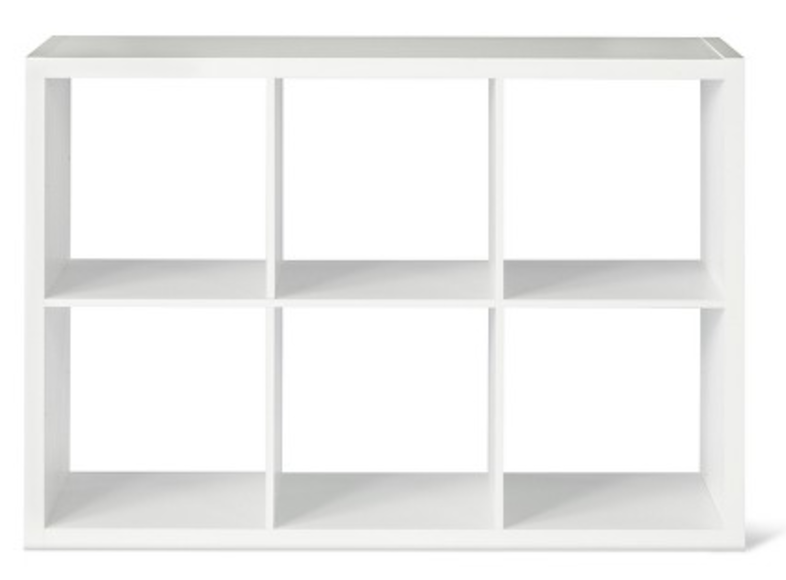 I also love this cube organizer from Target for storing everything else! 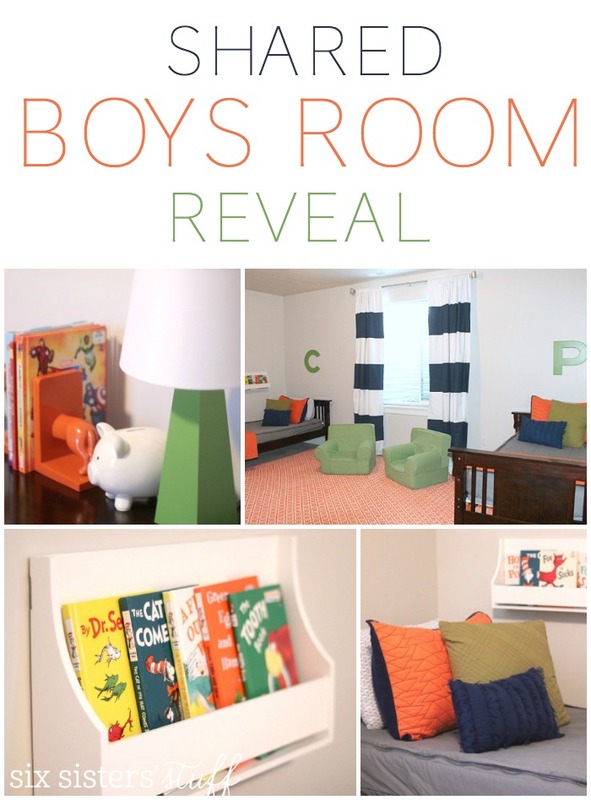 It has helped keep their room so much more organized. They keep the rest of their toys in some bins and baskets in here. My boys love to read! We have a larger bookshelf in our basement living room but they love to read before they go to bed. 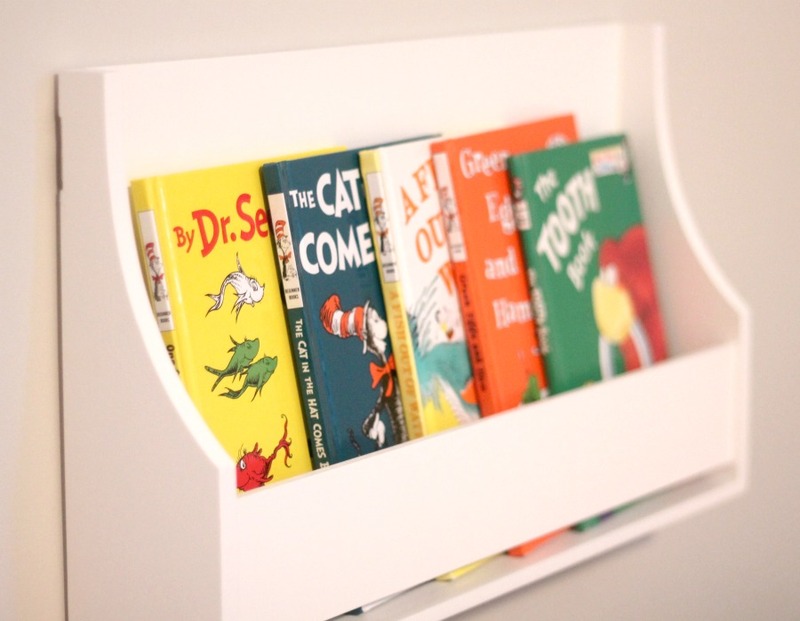 I found these white shelves at Target and they are perfect for holding a handful of their favorite books. What a fun and organized room! 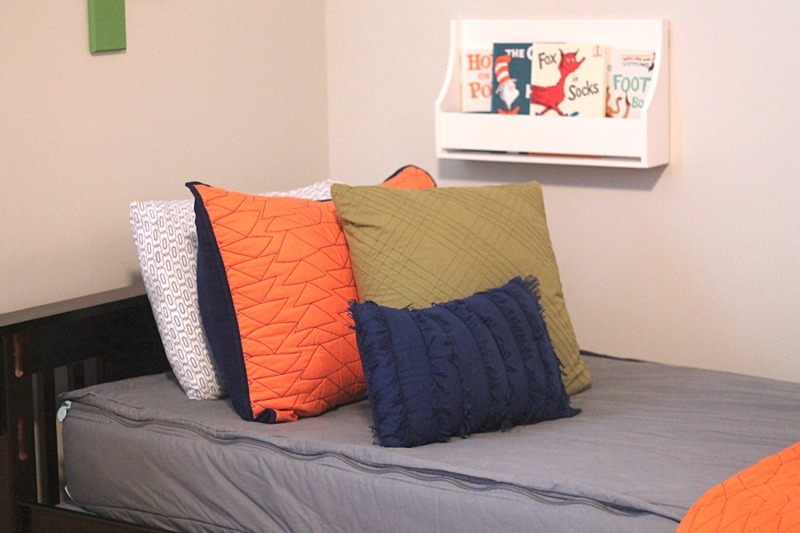 I love the bookshelves next to their beds. What a clever idea. Thanks for the post!